Let North Alabama’s Largest Commercial Truck and Fleet Center keep your vehicles on the road safely and efficiently. Landers McLarty DCJR has the #1 LARGEST Fleet and Truck Center in North Alabama! Our team of fully trained, certified technicians have over 100 YEARS of combined experience! Your time is valuable! We’ll continue to invest to ensure we are providing the fastest, most efficient service possible. Our $3 million state-of-the-art facility is equipped with any and all resources needed to ensure fast and efficient service. Our truck facility is 6,900 square feet and geared toward efficient service. Enjoy a single point of contact for all your commercial truck and fleet needs. Ron is your go-to person for all commercial truck and fleet related maintenance and repair, bringing with him 15+ years of experience in automotive process, technology, and manufacturing. From a single business vehicle to even the largest of fleets, no matter your level of demand, Ron will utilize his extensive experience to keep your vehicle(s) on the road. Ron recognizes and appreciates the importance of fast turnaround on maintenance and repairs and realizes the impact that vehicle downtime has on a company’s bottom line. His focus every day is to serve you in a way that minimizes downtime and keeps your fleet operating in a safe and productive manner. Did you know? 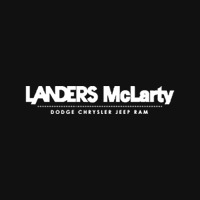 Our Landers McLarty Commercial Truck and Fleet Center offers a full line of commercial truck and fleet accessories and provides custom upfitting options. From toolboxes and flat beds for trailers, to light bars, contractor packages, and more, Ron will help facilitate customizing your vehicle(s) to meet your needs.